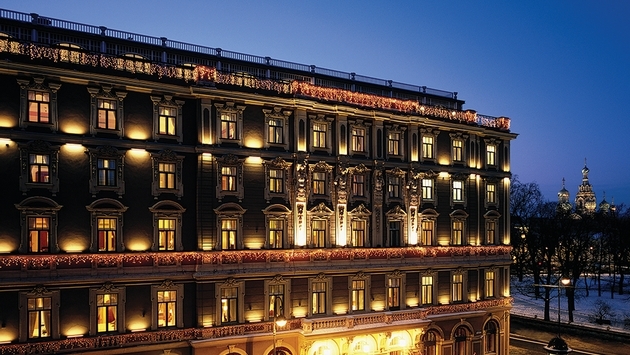 PHOTO: Belmond is investing $15 million in marketing its new brand over the next four years. In March 2014, Orient-Express Hotels Ltd. changed its name to Belmond, surprising some people in the process. The Orient-Express name stood for sophistication and luxury for 38 years before the company decided to switch gears. During this time, the company accumulated 45 hotels, trains and river cruises across the globe, from Russia to Brazil to Peru to Italy. So why did the luxury hotel brand ditch the Orient-Express moniker, and what can we expect from Belmond going forward? According to Ralph Aruzza, chief sales and marketing officer, Belmond, the reason behind the name change is twofold. For one, the company’s travel partners were having a hard time explaining to customers that their individual properties were part of a bigger collection. There was always high interest in the individual properties, but some guests didn’t connect individual properties with the parent company. For this reason, you could see why cross-selling would be difficult. Now, “Belmond” is prominently displayed in front of the hotel name. For example, Hotel Monasterio by Orient-Express is now the Belmond Hotel Monasterio. A slight tweak, but a tweak Aruzza said was needed. On top of the name change, Belmond is investing $15 million in marketing over the next four years (including $5 million this year), its first full-scale marketing campaign since the company debuted in 1976. The goal, of course, is to make all customers aware of the company’s larger collection, and to connect the dots between its hotels, trains and cruises. There was another reason for the name change, however. The Orient-Express trademark is owned by the French transportation company SNCF, and the name had been licensed to Belmond’s hotels and the Venice Simplon-Orient-Express train since 2001. This, naturally, left the luxury travel company without as much control; before long, it was ultimately time to play engineer/operator, if you will. 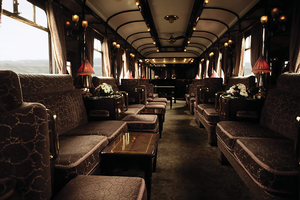 The train is still licensed under the Orient-Express name, but all of the company’s other hotels, trains and cruises have done away with the Orient-Express label. “While we have retained a long-term license for the Venice Simplon-Orient-Express, we wanted to move from a licensed brand to an overall brand name we could fully own and control,” Aruzza said. 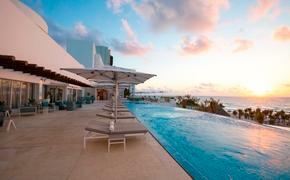 The Belmond name has received mixed reviews throughout the industry. Most travel partners and travel agents are happy because it makes their job easier, but the reaction among customers is hit or miss. Some customers simply don’t like the sound of the name. But if you are one of those who doesn’t like how “Belmond” rolls off the tongue, it is worth noting that Belmond (belle monde) translates to “beautiful world.” In that sense, who can disagree with that choice? Aruzza said he met with a group of travel agents from Belmond’s Bellini Club in Venice recently to receive feedback and he was happy with what he heard. The question now becomes, will Belmond approach things any differently than Orient-Express Hotels? Should customers expect a shift in philosophy? Rest assured, loyal customers, Aruzza said the company plans to stick to the blueprint that made it popular in the first place. Moving forward, the company will work on marketing the Belmond name, building its new website, Belmond.com, and implementing a better customer service management system, among other things. Amid all of this, Belmond has been renovating several properties extensively. The company just completed a $9 million refurbishment of 145 rooms at Belmond Charleston Place in April, the first phase of a three-year project at the site in South Carolina’s oldest city. Belmond also completed a renovation of 81-room Belmond Miraflores Park in Lima, Peru, in April, which included the refurbishment of all 81 rooms, the introduction of two premier business floors with a lounge and the renovation of the hotel’s restaurant and lobby bar. This was on top of adding six new junior suites at Belmond Villa Sant’Andrea in Sicily and renovating and refining the concept for Oro Restaurant, the main restaurant at Belmond Hotel Cipriani in Venice. Belmond will continue to honor the same ideals that made Orient-Express Hotels so popular. That includes reflecting each destination in the experiences it offers and striving for authenticity, Aruzza said. Belmond Hotel das Cataratas is the only hotel in Iguassu Falls to present its guests with exclusive access to the top tourist attraction at dawn or in the evening, when the park is closed to other visitors. Guests of Belmond Copacabana Palace in Rio will soon be able to enjoy a morning picnic at the top of Corcovado. Given that guests not only desire personalization and authenticity, but also expect it these days, Belmond’s current blueprint figures to be a wise one. Belmond Journeys, which offers itineraries connecting its experiences, should also help guests understand that its individual hotels, trains and cruises are clearly under the Belmond umbrella. “They are not seen as separate entities, but rather work together, encompassing a packaged vacation experience tailored to guests, whether they have four nights or two weeks to spend on their vacation,” Aruzza said. Popular itineraries include Essential Peru, Journey to the Heart of Africa and Treasures of the East. The “La Dolce Vita” experiences pay tribute to Italy in the 1950s and 1960s, when actresses and celebrities would flock there for vacation during Hollywood’s golden era. PHOTO: The company’s landmark experiences, such as the Venice Simplon-Orient Express, are still firmly intact. As far as the company’s landmark properties and experiences, they are still firmly intact under the Belmond name. That includes the Venice Simplon-Orient-Express luxury rail service in Europe; in Myanmar, the Belmond Road to Mandalay cruise; Belmond Grand Hotel Europe in St. Petersburg; Belmond Copacabana Palace in Rio de Janeiro; and Belmond Palacio Nazarenas in Cuzco, Peru (which was resurrected from a former 15th-century convent). Of course, there’s also Belmond El Encanto, a hotel that was recently opened in March 2013 and was named Santa Barbara’s only five-star hotel by Forbes in its 2014 Travel Guide. The company recently reported 2013 adjusted earnings before interest, taxes, depreciation and amortization of $119.7 million, an increase of 17 percent from the previous year. Check out Belmond’s new website, Belmond.com, for more information on the newly branded company. An additional Belmond website dedicated to travel agents is slated to be unveiled later this year.